Often overlooked in the mainstream dirt track racing is perhaps the most exciting form of automobile racing in North America. It’s a popular form of racing held on oval tracks with a surface of dirt or clay. Dirt track racing is done on over 1, 500 tracks throughout the United States. In the 1920s and 30s dirt track racing became the dominant form of automobile racing in the United States due to the abundance of thoroughbred horse racing tracks. 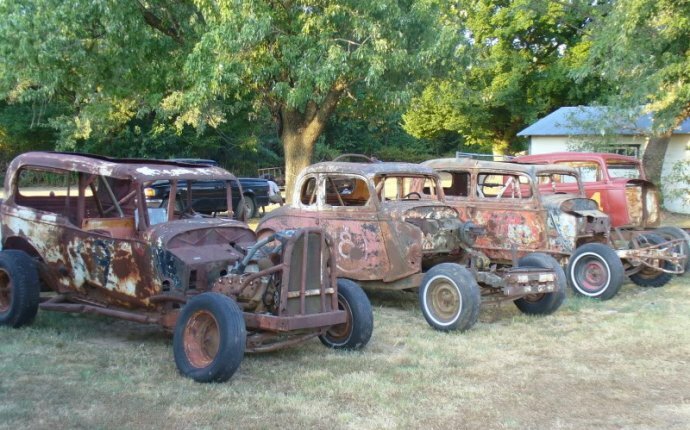 There have been traditionally two types of racing cars that have dominated dirt track racing: Open wheel cars, including sprint cars and modifieds, which are primarily run in the Northeast and Midwest, and stock cars that are raced in the South. Generally speaking most dirt tracks are ovals of less than one mile in length with the majority being ½ miles. Other tracks range from 3/8th, 1/3rd, 1/4th, and 1/8th of a mile in length. Longer length tracks tend to be more dangerous due to higher speeds which increase the chance for injury to drivers and damage to race cars, which is why dirt tracks of one mile or more in length are extremely rare. The most common dirt track surface is clay because it retains moisture more readily which results in more tacky conditions which allow the cars to grip the track better and reduce dust. Each race track and sanctioning body maintains specific rules outlining each class of race car which includes dimensions, engine size, equipment requirements and prohibitions. For the most part tracks usually coordinate with various other tracks to allow for the widest venue for each type of car. This coordination allows the drivers to compete at many different racetracks, increase competitors' chances of winning, and lets racing associations develop a series of race events that promote fan interest. There are several forms of dirt track oval race cars and in this discussion we will go over each type. The main types of race vehicles that race on dirt are as follows: open wheel cars, modified cars, stock cars, and motorcycles. An open wheel car is a type of car with its wheels on the outside of the body and usually consisting of a single seat. Open wheel cars differ from their production based brethren in that their wheels are usually covered by fenders. Open wheel race cars also tend to have a higher level of technical sophistication with a Formula One race car being at the pinnacle of technological development and refinement. Famous racecar driver and constructor Ray Harroun was an early proponent of lightweight, single seat, open wheel monocoque race cars and began racing them competitively in 1906 after a stint working as a mechanic in the automotive industry. He won the then prestigious AAA National Championship in 1910 and was later hired by the Mormon Motor Car Company as chief engineer. Harroun was then tasked with building a race car to compete in the inaugural Indianapolis 500 then know as the International Sweepstakes which he would go on to win. His revolutionary design dubbed the Marmon Wasp would become the blueprint and forefather of all single-seat racecar designs. The standard open wheel race car is simple in basic design with a small cockpit sufficient only to enclose the driver's body, with the head exposed to the air. The exception to this being modified stock cars which the drivers head and body is contained in the car similar to that of a conventional passenger car. In modern open wheel racecars the engine is typically located directly behind the driver such as in Indy Car and Formula One racing however modifieds and sprint cars retain the standard set up where the engine is in front of the driver. Both types of cars are rear wheel drive and depending on class rules many types are allowed to have wings at the front and rear of the vehicle, as well as a very low and virtually flat undertray that helps achieve additional aerodynamic downforce pushing the car onto the racing surface. As opposed to off road racing an open wheel race car races on dedicated purpose built road courses or temporary street circuits, however these types of races and tracks are beyond the scope of this discussion and we will be focusing on dirt track oval racing from here on out.